A member-owned shooting club – open to the public! This is a cold range. All firearms brought onto the range must be unloaded. Clearing stations are available at the entrance. The range is open every day of the year except Thanksgiving and Christmas. Please check the calendar for events that may occupy some of the range facilities. Summer hours begin Monday, May 6, 2019. Effective February 1, 2019 the non-member, day shooter rate will increase to $20 ($18 for Active or Retired Military/LEO). Youth, under 18, will continue to shoot free of charge. Effective February 1, 2019, NEW memberships will include addition of a spouse for a $50 fee. Youth, under 18, will continue to be included with memberships at no charge. Membership renewals will not incur this fee unless the membership has lapsed for 90 days, at which time it will be considered a new membership. The Board of Directors approved a change in the time period/expiration of User Agreements. All User Group expirations will now be based on a calendar year and expire December 31st of each year. Current User Groups that have not already signed an agreement dated this year (2019) will need to sign one for 1/1/2019-12/31/2019. If you have a current agreement (revision dated 8/14/2018) that expires sometime in 2019 you need only to sign pages 12 and 13 and return to the office. You do not need to appear before the BOD. If you have any questions, please contact the Admin Office. The newest Agreement is available for download below. Please watch your speed on Bowman Road. Do not exceed 25 mph on the paved section or 15 mph on the dirt section. Always slow down when passing pedestrians and horses and give them plenty of room. Also do not exceed 10 mph on the club property. Pima Pistol is an NRA member club. Our facilities have been supported by grants from the NRA Foundation and from the Arizona Game and Fish Department. Have you ever considered shooting in one of the sports at the club? 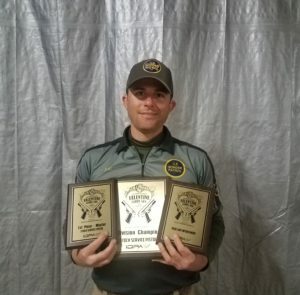 More congrats to Eric France – SSP Division Champ, 1st Place SSP Master and High Law Enforcement at IDPA Valentine Carry Gun Regional Championship, February 17, 2019 in Prado, CA. Way to go, Eric! Don’t cross the wash if it is running. During bad weather check with the range office for closures at 520-825-3603. Save on your Annual Range Membership if you are or become an NRA Member! Cowboy Action Shooting is coming November 10th! Congratulations to Elias Frangoulis – 2018 Safariland Arizona State IDPA Champion! Do you have discounts for Military or Law Enforcement? Yes, active or retired military, law enforcement and firefighters receive discounts with us that are posted on our website. Our memberships are for a year. They include a spouse and children under the age of eighteen. You also get access to our member only ranges. How much does it cost for my child to shoot with me? How old does my child have to be to come shoot with me? The minimum age is eight years old, however they must be fourteen in order to shoot center fire rifles or hand guns. Can I call ahead to reserve a range? No, the general public cannot reserve ranges. 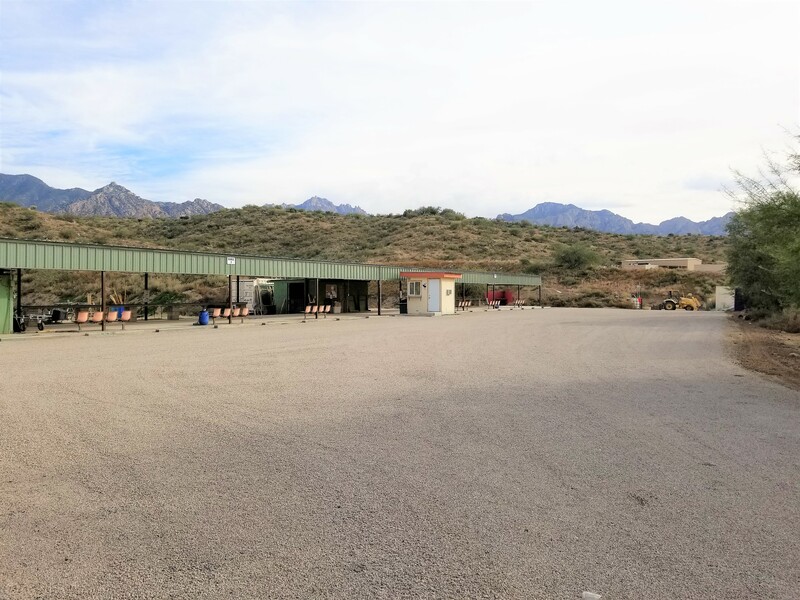 We operate on a first-come first-serve basis, but you are more than welcome to call the range office to see how busy we are on any given day. We also have the calendar posted to our website so you can check there too. Do you sell targets and ear protection? Do you rent firearms or sell ammo? Join our Newsletter. Get all the upcoming information sent right to your inbox.